The far cattle gate of Warren Land is just a skip, hop and jump from Horse Creek Road , as the crow flies. 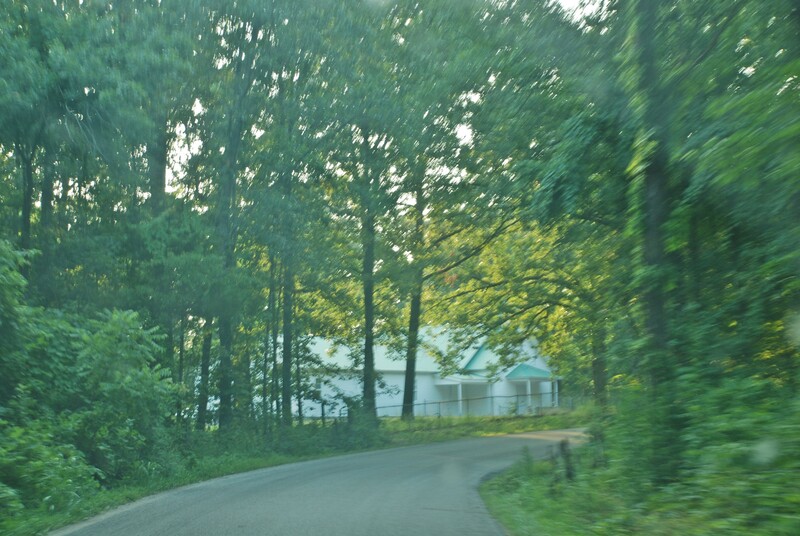 Horse Creek Road – This snapshot was taken July 9, 2011 through a car windshield. This is one of the first views you see after turning off of MIssouri State Highway 176 on to Stone County’s Horse Creek Road, which runs alongside James River. Snapshot by Samuel E. Warren Jr. 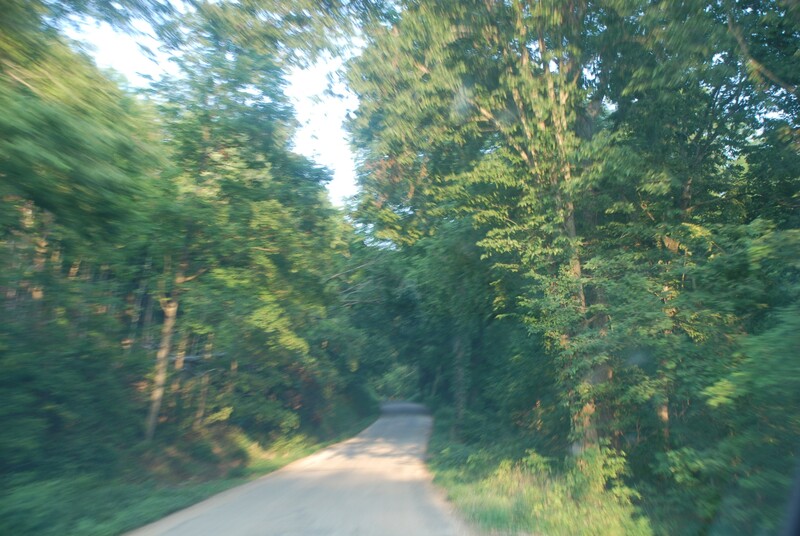 Horse Creek Road – This snapshot was taken July 9, 2011 through a car windshield. This is another of the views you see driving down Stone County’s Horse Creek Road, which runs alongside James River. Snapshot by Samuel E. Warren Jr.
services as well as weddings and funerals. I even took my camera and shot a wedding at the Horse Creek Church around 1986. Visitors and tourists to Missouri sometimes have a different reason to “go down Horse Creek” : James River. One of my fond memories of Horse Creek is I almost drown in Horse Creek as a child. Uncle Richard had taken, my cousin, Donna and I to Horse Creek to “go swimmin.’” It was in the early 1960s and, basically, Horse Creek was just a local “swimmin’ hole. People knew about “float fishing” on the James River, but Horse Creek didn’t have the popularity it has in 2011. In the 1960s, the orange life vests weren’t that popular for use up and down the James River. Table Rock Dam had only been up and running a few years. 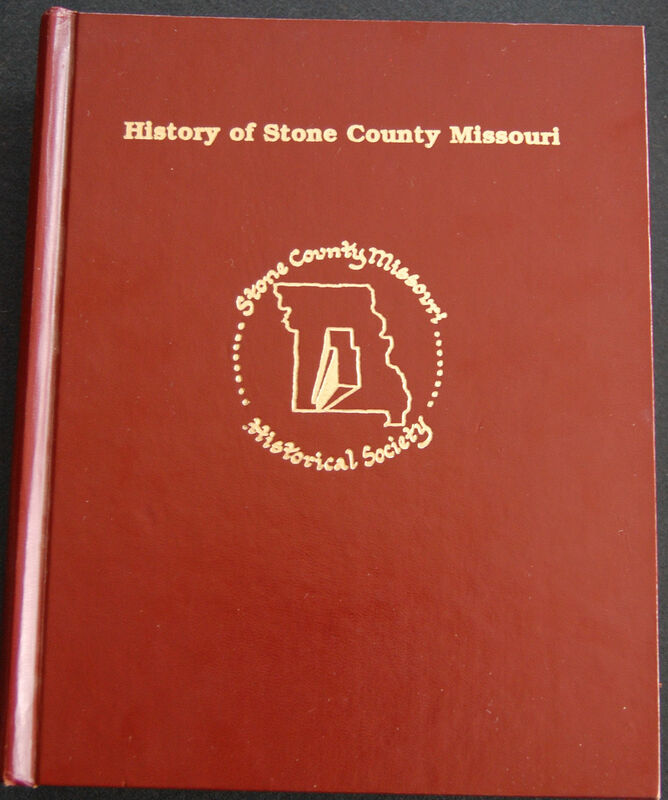 Southwest Missouri had yet to become associated with water sports. Fisherman and professional anglers came to Galena to go “float fishing” or to fish for bass and catfish, but canoes and kayaks were not usually associated with the James River in and around Galena. Fishing and not boating was the allure that brought people to Galena and the James River. Us, Stone County kids went wadin’ into the water to look for minnows and tadpoles. We, local kids called it “swimmin’, but, basically, we would sit on our backsides in a shallow spot in the river and lean forward so that our heads stuck just above the water. We’d move our arms and pretend to be swimmin’. I hadn’t learned to swim. Donna, really knew how to swim. Donna and I were playing on old automobile inner tubes, near the shore. I hadn’t been paying attention to the current in James River, which had carried me farther from the shore than I needed to be. Needless to say, I paniced! I hooted like an owl ! I screeched like a banshee ! Donna was in the water near the shore. Uncle Richard had been “hard of hearing” since birth. I’m screaming my lungs out ! I’m scared. I’m frightened. I’m frantically waving my arms. The river current has carried me from the safety of my shallow spot. My feet aren’t touching the bottom anymore ! Donna saw me and must have thought I was fooling around in the water. She just looks at me. I’m waving my arms like a puppet with broken strings and screaming. Suddenly, she starts to slowly swim toward me. I had gotten a whistle out of a box of Cracker Jacks, which I wore on a string necklace around my neck. I’m screaming ! I’m blowing the whistle fiercely for help. I’m bobbing around in the water like a fisherman’s busted bobber. Water in my eyes blurs my vison, which only frightens me more. My hands thrust out. I slap the water ! I go down into the water again. When I come up, the toy whistle is full of water. All I’m blowing is wet air. Donna is swimming toward me. I’m reaching out and shreiking ! I’m about six or seven years old, so I’m freaking out ! I see Uncle Richard, on the bank, at the back of the old black 1952 GMC pickup – naturally, he has his back to me. I look and Donna is swimming faster toward me. I struggle to stay afloat. I survived that day on Horse Creek in the James River. My childhood friend, Jack Gordon had a birthday in August. 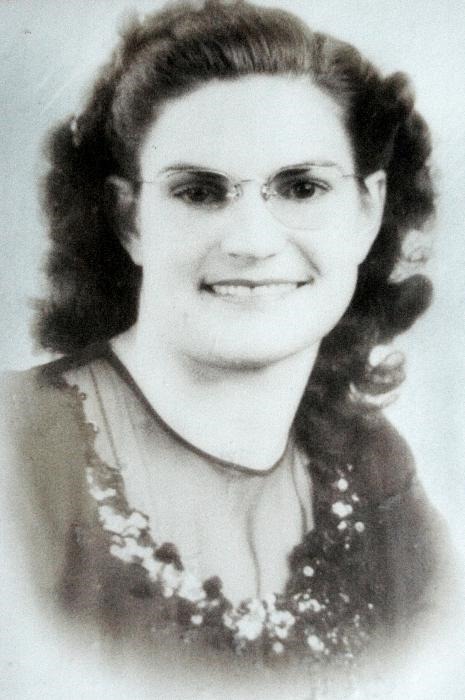 His mother, Loretta, and my mother, Opal, were friends. Thus, for a year or two Jack would have his birthday party at Horse Creek and all us kids would wade or swim in the James River. One of the nice scenic views of Horse Creek is the massive bluffs that tower over James River at that location in the river. People come from around the United States to “float fish” or canoe the James River. Still, as a child, I only went down Horse Creek to go swimmin’. 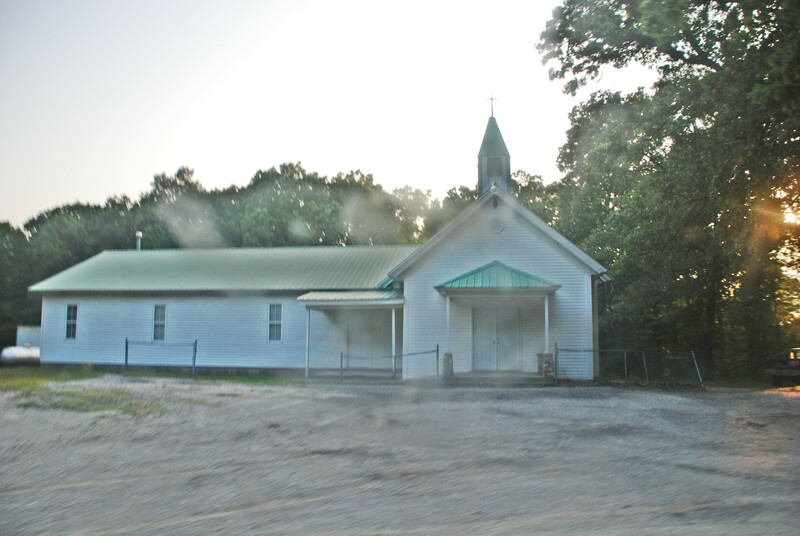 Horse Creek Church – This snapshot was taken July 9, 2011 through a car windshield. 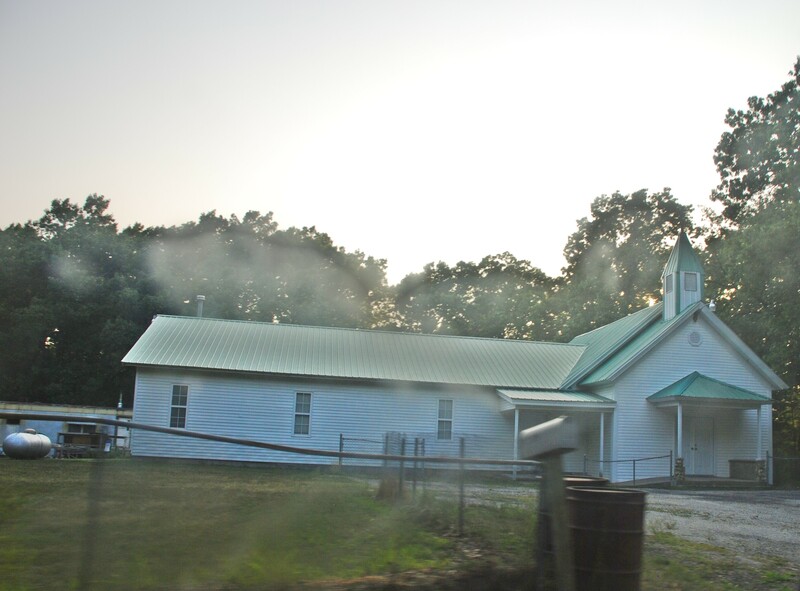 Stone County’s Horse Creek Road, which runs alongside James River, curves past the Horse Creek Church, which is one of the oldest churches in Stone County, Missouri. Snapshot by Samuel E. Warren Jr.
I’m sure, the Missouri Department of Conservation has rules and guidelines on safety in and around Horse Creek, which would be posted on their website. 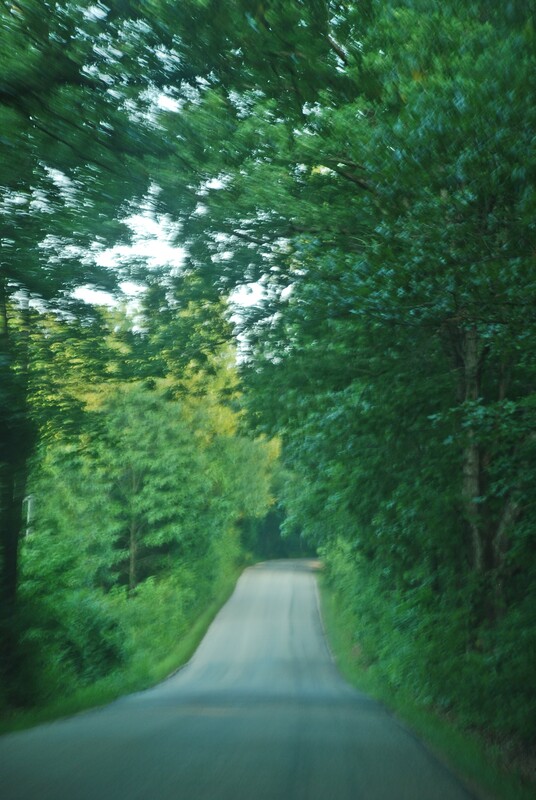 Horse Creek Road – This snapshot was taken July 9, 2011 through a car windshield. This is another of the views you see traveling along Stone County’s Horse Creek Road, which runs alongside James River. Snapshot by Samuel E. Warren Jr.
Take the advice of a Stone County Old Timer, visit the Missouri Department of Conservation websites and their blog. 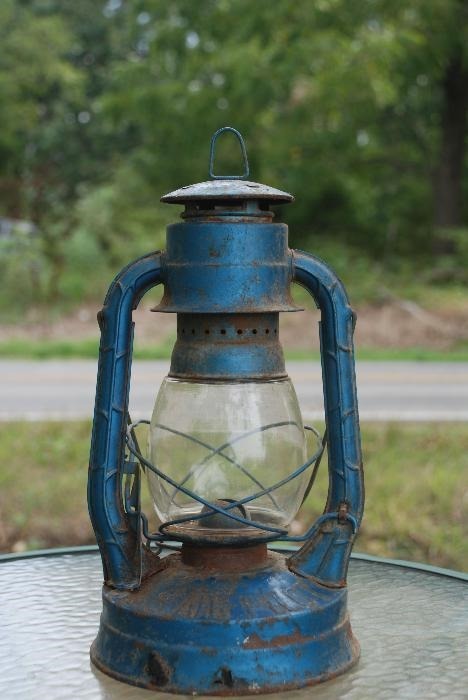 Read and pay attention to the information, so when you visit Horse Creek and James River you’ll have an idea of how to go about wisely and safely enjoying your time on the river. 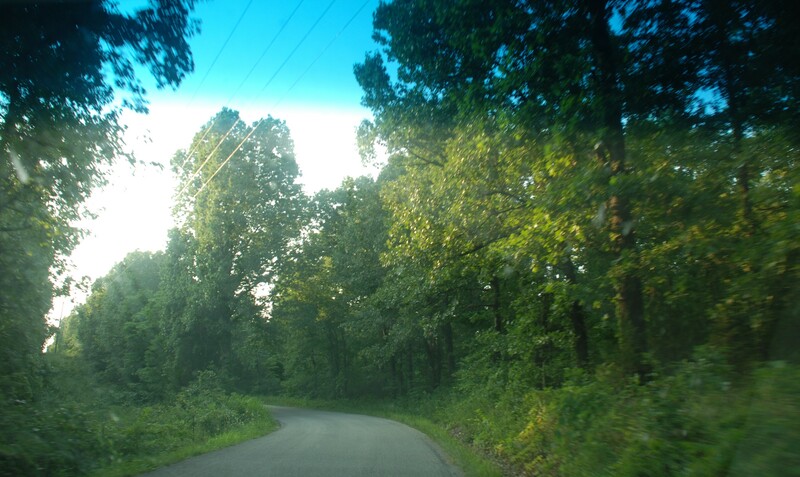 Horse Creek Road Trees Joplin Tornado Damage Photo 2 – This photograph was taken July 9, 2011 through a car windshield. This is another of the views you see driving down Stone County’s Horse Creek Road, which runs alongside James River. 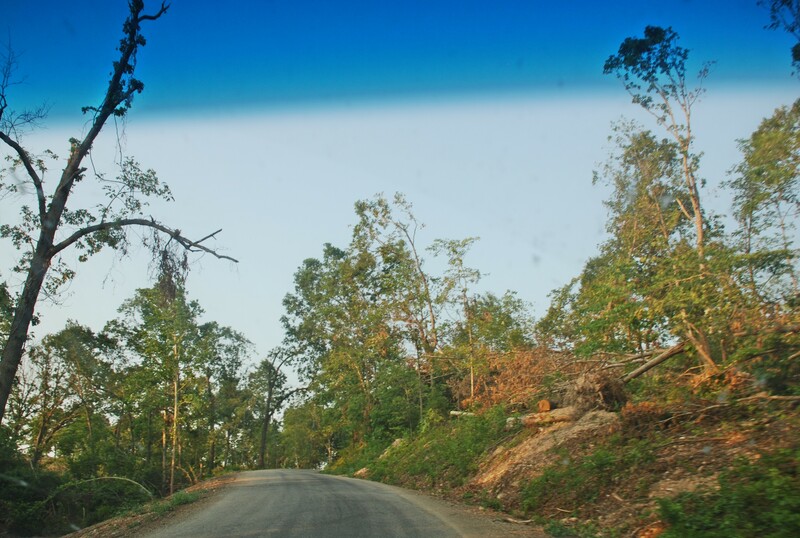 The bend in the left hand side of the road shows trees that were damaged in the thunderstorm the night that the EF-5 tornado struck Joplin, Missouri. Photo by Samuel E. Warren Jr. 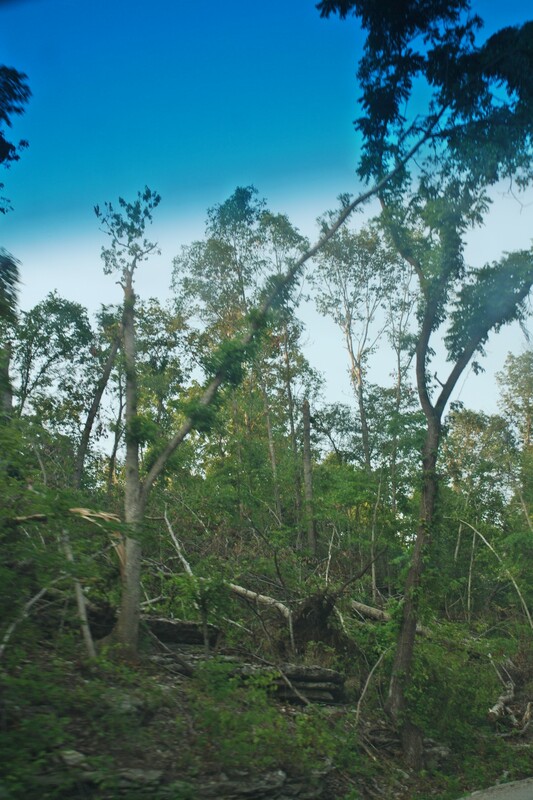 Horse Creek Road Trees Joplin Tornado Damage Photo 3 – This photograph was taken July 9, 2011 through a car windshield. 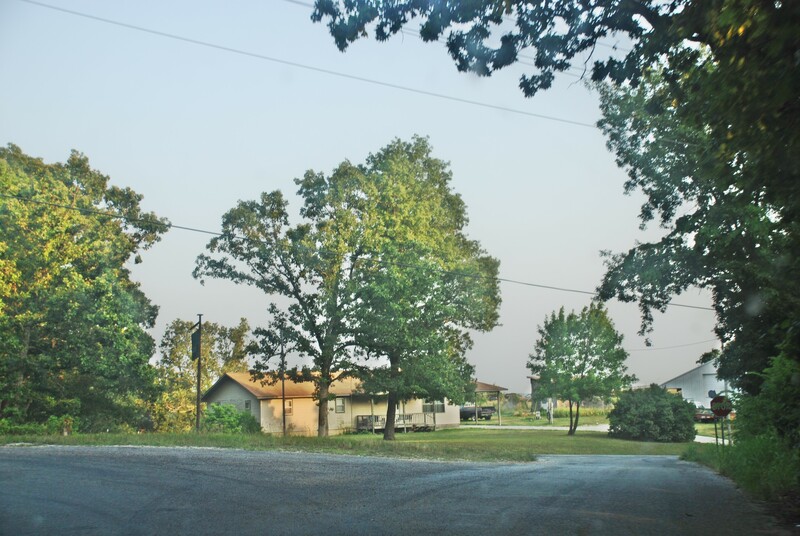 The trees on the right hand side of the road in this photograph were damaged during a thunderstorm the night that the EF-5 tornado struck Joplin, Missouri. Joplin, Missouri is 78 miles from Galena, Missouri, but the thrunderstorm collapsed at least six turkey houses along Stone County’s Horse Creek Road. One person reported witnessing two funnels touchdown and pass through Abesville, Missouri, which is about four miles from Horse Creek Road. 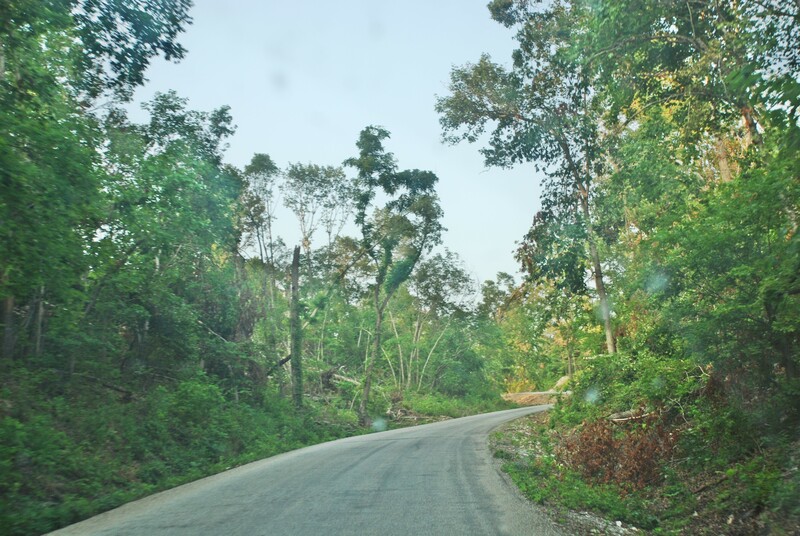 The trees damaged in this photograph reveals another location along Horse Creek Road where the violent winds of the thunderstorm made a path through the trees, Photo by Samuel E. Warren Jr. 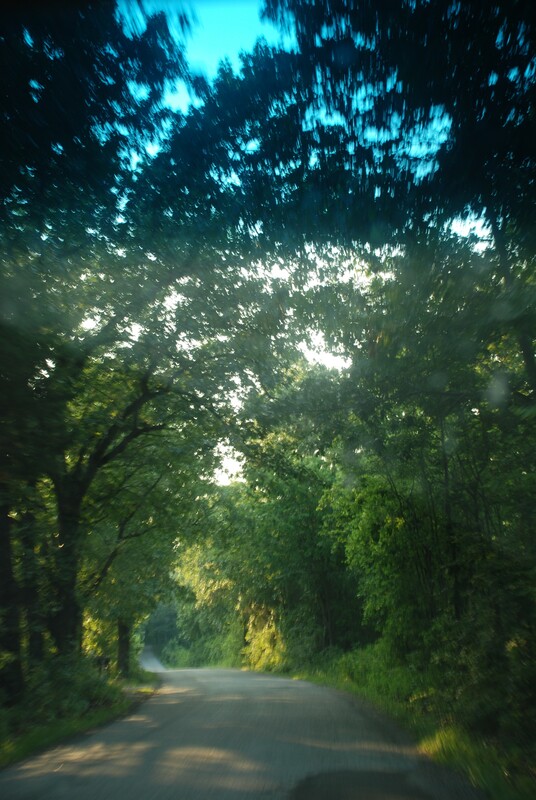 Horse Creek Road Trees Joplin Tornado Damage Photo 1 – This photograph was taken July 9, 2011 through a car windshield. The trees in this photograph were damaged during a thunderstorm the night that the EF-5 tornado struck Joplin, Missouri. Joplin, Missouri is 78 miles from Galena, Missouri, but the thrunderstorm collapsed at least six turkey houses along Stone County’s Horse Creek Road. One person reported witnessing two funnels touchdown and pass through Abesville, Missouri, which is about four miles from Horse Creek Road. The trees in this photograph reveal the brutal violence of the thunderstorm that spawned the EF-5 tornado that struck Joplin, Missouri. The force of the winds that past through Stone County that evening twisted, snapped and even peeled some of the bark from these trees on Horse Creek Road. Photo by Samuel E. Warren Jr.
Today, when I stroll over across the road into the cattle pastures of Warren Land, my farm dog, “Sarge”, sometimes likes to chase squirrels, raccoons and groundhogs through the cedar trees to near Thelma Clines old homeplace. 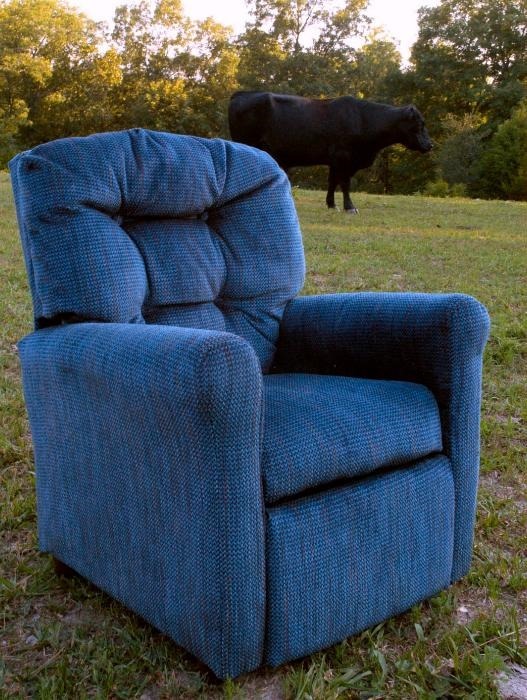 Then, Sarge, dashes further into the woods to take a dip in the hidden cattle pond in the holler. I keep strolling through the pasture and Sarge knows that I’ll be waiting in the far cattle pasture by the end gate. At this gate, I can lean over the gate and watch vacation traffic round the curve and slow down to look for the turn off to Horse Creek. 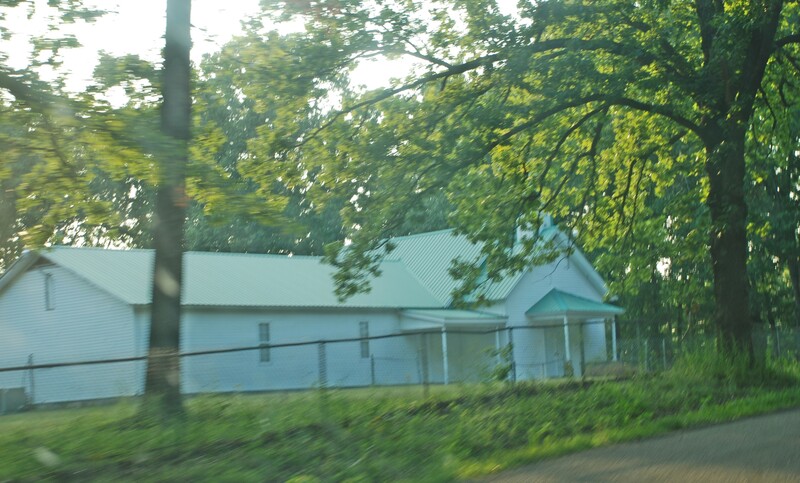 Horse Creek Church – This snapshot was taken July 9, 2011 through a car window.. Stone County’s Horse Creek Road, which runs alongside James River, curves past the Horse Creek Church, which is one of the oldest churches in Stone County, Missouri. Snapshot by Samuel E. Warren Jr. In 2011, I can stand at the gate and watch the large recreational vehicles slow down to look for the county road turn off, Fancy dual wheel “babe magnet” pickups, pull their shiny, expensive bass boats, but, they too, slow down to look for the turn off. The brake lights come on and I know the vehicles are making the turn to “go down” Horse Creek to James River. Right or Left ? Stone County’s Horse Creek Road merges into Missouri State Highway 176. If you turn left on to the state highway you will pass through Abesville, Missouri. If you turn right on to the state highway you will drive over James River and pass by Galena, Missouri. Snapshot by Samuel E. Warren Jr.